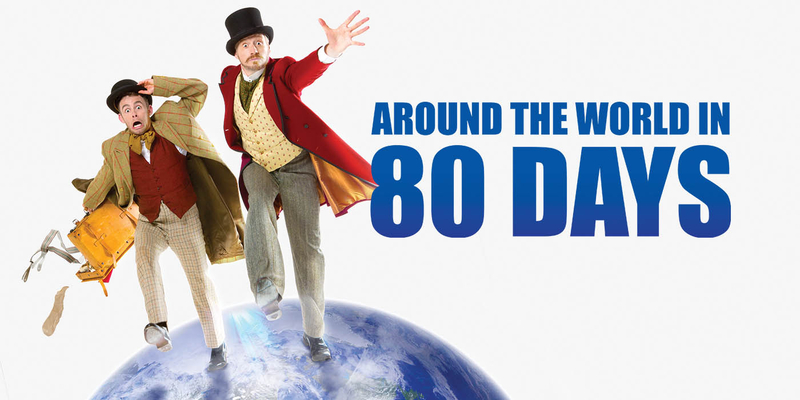 This April, two exciting shows will be visiting the Playhouse, Mark Thomas: Check Up and Around the World in 80 Days. Mark Thomas: Check Up will be on 12 and 13 April. Based on a series of interviews with experts on the NHS and residencies in hospitals and surgeries, Thomas explores the state of the NHS and its future. Mark Thomas is 54, the NHS is 70, UK national average life expectancy is 84. If Mark makes it to 84 the NHS will be 100, what will they both look like? Winner of an Edinburgh Fringe First Award 2018. For more information click here. Around the World in 80 Days will run from 17 to 20 April. The mysterious and fabulously wealthy Phileas Fogg wagers his life’s fortune that he can circumnavigate the globe in just 80 days. Join him and his loyal valet Passepartout, as they voyage from the misty streets of Victorian London to the exotic subcontinent and the Wild West in a race against the clock. For more information click here. To find out more about any of the shows or to book tickets you can email the box office at office@everymanplayhouse.com or phone 0151 709 4776.